The West Mountain Radio RFI Suppression Kit is a cost effective solution to mitigate RFI issues commonly encountered in a ham shack. 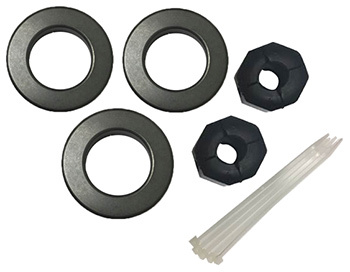 The kit contains ferrite toroidal cores (for winding cables through) and two snap on cable chokes. Cables ties are included to hold cables on the toroids.